Thinking of ways to more effectively communicate with your students? As Higher Ed professionals, it’s imperative that we provide our students with a valuable, empowering student experience. More often than not, that means finding ways to communicate with them in relevant ways at each point along the student lifecycle. So how can we communicate integral information with students, in a way they’re actually receptive to? Traditional methods like emails, websites, student portals, and fliers are only so effective. The answer is in mobile. For a few years now, we’ve been empowering schools to provide a very specific brand of communication to their students – mobile digital communication in the form of apps. It’s given us a front row seat as colleges and universities adopt mobile communication strategies that extend beyond a singular moment or event, but touch at every step along the student lifecycle. 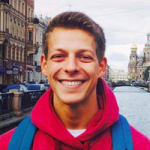 Here’s your chance to listen as the GuidebookEDU team together – a diverse group of former Higher Ed professionals – talks about some of the similarities we’ve seen in effective mobile app strategies, regardless of the audience or institution. 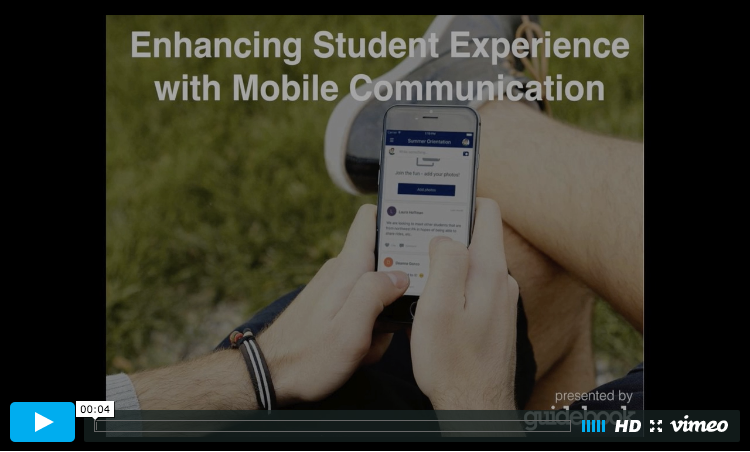 We’ll take a look at some examples and discuss how mobile communication – the channel of choice for today’s students – is enhancing experience across the board.